I am one of those people who picked up a camera as a child and simply fell in love with taking photos. I studied photography with film cameras and got my first digital SLR in 2003. Through a good friend in the wedding photography business, I received training by a professional and gained invaluable practical experience. Today, I shoot with Canon gear, and my current favourite is the 5d Mark lll. I love my kids, my husband, my dogs, my family and my friends, holidays, photography, music and movies! I enjoy cooking and have discovered that having lots of photos to edit is a great excuse for avoiding housework. I live in Stirling and love the Adelaide Hills – I also love to travel so talk to me about your destination wedding or photography needs. 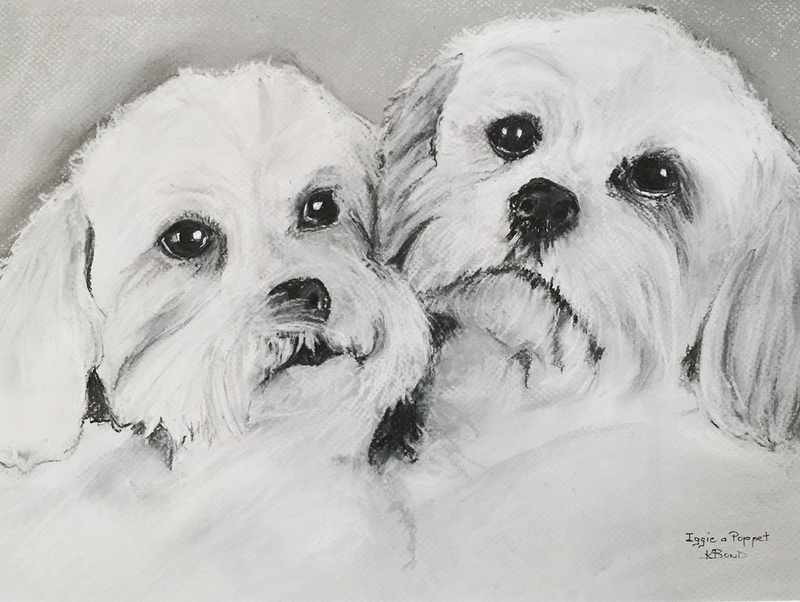 My furry friends, “Iggy and Pop”, sketch by my talented mother-in-law Kerry Bond.